The history of the 40th Division ( Whitton) as well as the Regimental history of the Lancashire fusiliers 14/18 tells about a RAF crash along the River Scheldt near Warcoing ( east of Tournai, Belgium) The Lancashire history doesn't give an exact date. The divisional history speaks about "around" 28 oktober 1918. 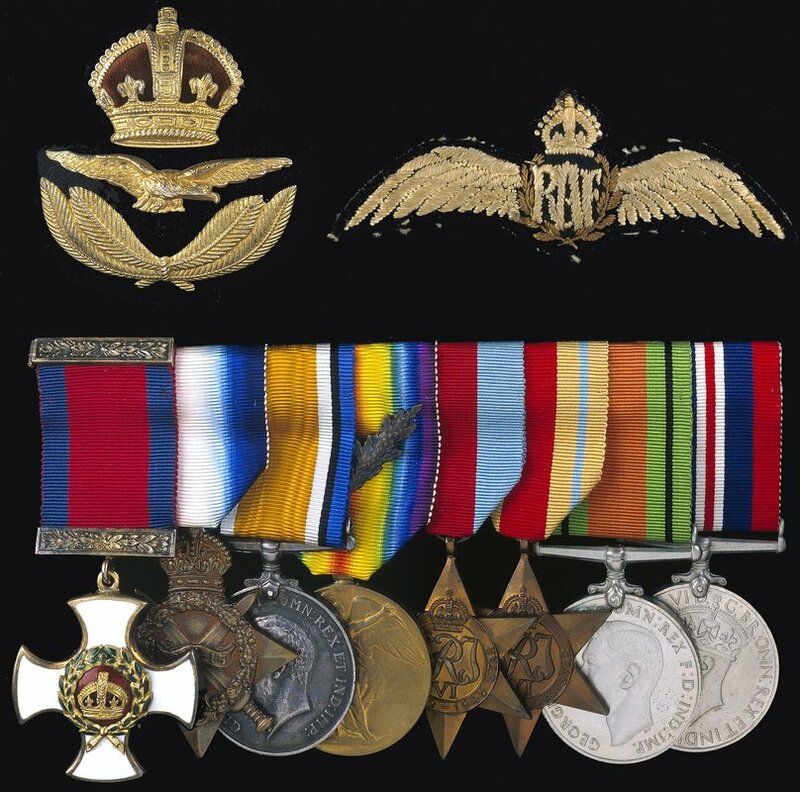 ..... while they were so doing on the bank of the River Scheldt near Warcoing, Captain T Cowcher earned the Military Cross for a deed of gallantry for which he was recommended for a Victoria Cross.He saw a British airplane come down in flames on the German side of the river. The observer and pilot had both been wounded. The former crowled out of the wreckage and was trying to carry the pilot to a place of safety when Cowcher saw that he was walking towards some houses occupied by the Germans. He shouted to them to come in his direction and swam across the river to help them. The Germans who had up till then kept silent, then opened fierce rifle and MG fire. 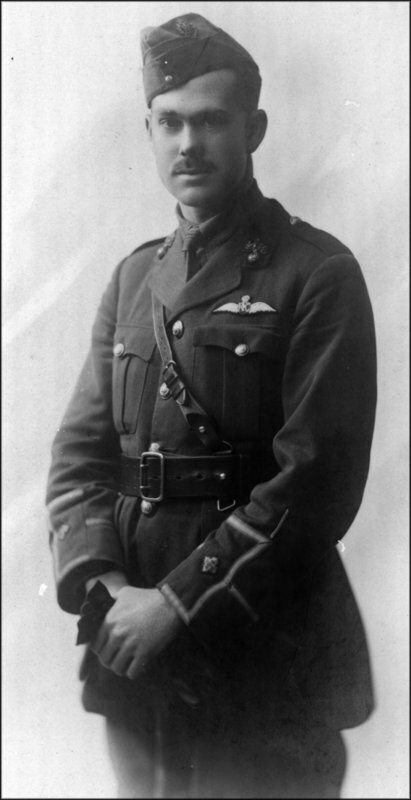 But Cowcher refused to turn back and succeeded in bringing the two wounded airmen back to our lines. Wonder if there is anyone about the RAF enthusiastic who knows the name and kind of aircraft of those two airmen. I have been looking in Trevor Henshaws "bible" The Sky their Battlefield but i'm afraid I was not able to find anything, maybe I'm a non native speaker..? I this way I'm looking for help. Any help is much appreciated. and V Bgde: 6, 8, 9, and 35 Sqns, plus the F2bs maybe of 20 Sqn. Someone might be able to point out others, but these are the ones my records indicate were operating in the area. The V Bgde units have nothing that really spring out unfortunately. And whilst there are two possibilities from 10Sqn - have a look at F622 and more particularly F625, both on 31st October - their crash map refs do put them close - but probably not close enough - about 12km north of where you are seeking action. If you work through the entries for the above squadrons then at least you'll know you are covering the RAF units over this approximate area - with those of V Brigade probably slightly better candidates as these are south of II Bgde. We still don't have an answer, do we! It would be good to find out the details on this one. Thank you for your answer. I am making a study about the very last days of WWI in the British sector between Audenaerde and the Tournai area. I am an working from north to south and give every sector attention as much as possible. Already had 41st,35th,31st,30th and 29th Divisions against the German 4. Armee, from the crossing of the Scheldt till Armistice Day. You wrote the aircraft crashed in the border area of the Second and Fift Armies. In this way I collected as much as possible information. You must know, about 148 Bns were involved ( Without all the German Regimentsgeschichte of course, but that's another story). Not all bns were on duty, but I want to know as much as possible. With information from the Ypres archives and a lot of help from friends and users of this wonderful forum ( once again a public thank you for Connaughtranger, Longboat, Steven Broomfield,Ian W,Perth Digger,Squirel, Grandsonmichael,Rob Bulloch,Graham Stuart,Old Owl, John Hartley, Jay Dubaya and you Trevor.... please forgive me if i forgot someone ) I was able to collect a lot of info. The Second Army is almost finished now, still busy with the 14th Div, and partly the 40th Division. I want to say I have seen a lot of info but didn't see anything about this crash. Although I think there must be more info about this event.... Capt Thomas Cowcher was recommended for the VC. If someone is recommended for a VC, I think this will causes a lot of paperwork and reports. Have been looking for a the awarding for the MC and I found the name of Thomas Cowcher on page 3238 of the London Gazette of 7 March 1919. There was no entry how or why he won the MC. Maybe I didn't find it? Also thank you for giving the RAF Squadronnumbers who were involved. Now I now where I have to look. I will surely study the F622 and F 625 ( already had marked it on the book with pencil ) I live quite close to the area and will check the situation at the very place itself. I do hope other users who have some information will give their comments. If you can't find what you're looking for in the London Gazette, double check with the Edinburgh Gazette. It doesn't add any more than you already know, but the MC citation for Cowcher is here. Lts Lovemore and Stead, 29 Sqn, after a fight, were compelled to land east of the Scheldt in the enemy's lines, the latter being seriously wounded and pinned under his machine. Lt Lovemore, having succeeded in extricating him, and finding that he was unconscious, carried him across the swamps to the river bank, where he met a British officer. They succeeded between them in swimming the river while supporting Lt Stead, whom they carried safely under cover, in spite of being under machine gun fire during the crossing. This actually took place on 28 October; 2nd Lt T Stead had been in SE5a D7000 and Lt R B Lovemore in SE5a F862. This is wonderful information. Thank you so much. Sometimes it is not easy to find what you want in the London Gazette and I didn't know the Edinbrugh Gazette also give such information, in this case a additionally info of the MC citation. Thank you so much for this information . First I have to apologize.... I have the book myself (Royal Air Force Communiques 1918, ed. C. Cole) and I should have seen it , but it confuses me. Capt Cowcher mentioned he saw only one aircraft later he speaks about the pilot and observer. In the your post I read: 2nd Lt T Stead had been in SE5a D7000 and Lt R B Lovemore in SE5a F862. So this means two planes, or am I wrong. However I am very pleased with your answer Trevor, Phil and Greame. I attach a small map of that swampy area, especially that time of the year. Yes, there were two aeroplanes, both single-seaters. I imagine that Lovemore came down on dry land and went to the aid of Stead who had come down in the swampy area closer to the river. That being the case, Capt Cowcher might have seen only the nearer of the crashed aeroplanes and would have assumed that the two airmen were its pilot and observer. That's an acceptable explanation. I will lookout if there are existing postcards, photographs or whatever about the wreckages of the planes. You never know. Already found some postcards with destoyed streets, brides in the area. It was a very chaotic period. Normally the big attack was planned on 11 november, but British patrols saw the Germans were retreating, in this way they crossed the Scheldt and pushed southeast. Kind regards fro South West-Flanders. You clever chap Graeme. Well done! And.. it tidies up the fact in TSTB that Lovemore was in fact never captured - missing, yes, but then turned up, having made his sterling rescue of Stead, aided by Capt Cowcher. What a story! Best Regards, and thanks to both of you. Interesting case. I think No 29 Sqn met Jasta 43 (German 6. Armee). Vfw. Ernst Wiehle (no. 5 of 6 victories) and Vfw. Max Hermann Kiep (unconfirmed, 3 victories before) were listed with victory claims against SE5 this day. 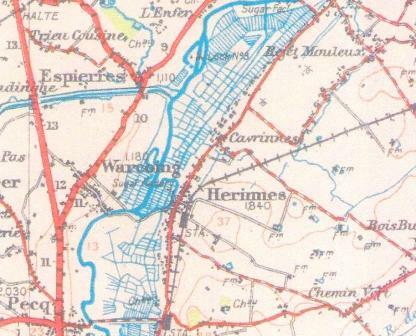 There were only 3 known SE5 claims at the Western front this day (incl. 1 far away in the south). Kiep was killed himself in action this day near Mont-Saint-Aubert. The connection to Warcoing - situated not so far away - seems to be reasonable to me. Indeed Trevor, what a story! Thank you Jasta72 for your reaction. Mont-Saint Aubert is only a few miles away. Thank you all guys. A nice story to write about. Shucks, Trevor, you're making me blush! born in Yorkshire "about 1893" (per census), so he might be the RAF officer rescued by Captain Cowcher and Lieutenant Lovemore. This is an unusually informative thread--we even know who their adversaries were and the summary fate of one of them! My only concern would be that, as far as I know, neither of the two RAF Casualty Report records of these events mentions combat - they both mention being downed by AA fire. Agreed, the Communique mentions "after a fight" but these were written up remote from the events, unlike the Casualty Reports. The lack of other SE5a downings that day is persuasive, though if you count these two downings from 29 Sqn I count at least four (the others being from 1 Sqn and 60 Sqn) - with possibly a fifth (MIA but OK) from 29 Sqn. Indeed, I was focused on the remark "after a fight" which made me think this meant an aerial fight between airplanes. Inspite of the fact that I realized already German pilots claiming victories of the Flak (and via verse) and downed Allied pilots who did not realize that they came under attack by a Fokker hanging on its prop below them (so, they believed in ground fire) one can not horn on these opportunities in a situation without a good overview about all German aircraft and Flak claims concerning location and time. I had a look at your brilliant book and I think Jasta 43 was not at the right location (concerning its airbase, army sector and loss of Kiep) to be an option for the MIA/POW losses of Sqn 1 (Trembath) and Sqn 60 (Stockwell). And Keene of No 29 Sqn was obviously no loss at all. Interesting is Brown´s (No 29 Sqn) destroyed Fokker sw Avelghem, ca. 10-12 km north of Mont Saint-Aubert. Admittedly, a bit far but it would be interesting to look if other RAF claims were closer. Anyway, the story is great. Jasta 72 - your contributions are great! I personally am trying to learn a lot more about where the German units were at various times (all types of units), to help make more sense of tie-ups and get a wider understanding of things. A big project, though, eh! Mont-Saint-Aubert is a little way north of Tournai and as far as I can establish the only "late" claim in this vicinity was made by Lt H W Ross of No 4 Sqn AFC who claimed a Fokker out of control over Tournai at 16:00 (British Time). Indeed, a great project if one is considering the many difficulties with lost or scattered German sources! Kiep could have well been lost in the engagements over or south of Tournai. I would like to know the time of day for Kiep´s loss. I already realized there is a lot of knowledge on this forum. Thank you for your help. 12.00 H	B coy bombed & Machine gunned by our own planes at D 6 b.7.6. Casualties 2 OR killed, 3 wounded. Friendly fire, a terrible name....I know such things happend in wartime but it happend more with artillerybarrages which were too short. The germans had the same problem. Was wondering if one of you heard about this accident. It is not mentioned in the 30th Divisional history. Cavalry of the 4.Armee, part of the 4th squadron of the Braunschweigisches Husaren regiment N° 17 were in the area.... mayby this has something to do with it? I'm afraid I don't know which Squadron was in the area. The story has yet another twist.While Cowcher didnt get a VC, just a MC ,Lt Lovemore was awarded a DSO for his part in the rescue.He lived to a good age ,not dying until the mid 80s.Not many Lieutenants got a DSO and l wonder if this award was also a case of a VC nomination being downgraded.? On 28th October this officer, attacked by two Fokkers, was driven down and compelled to land on marshy ground the enemy side of a river. Having extricated himself from his machine, he saw another of our machines land a short distance away, the pilot being thrown out; proceeding to the spot, Lieutenant Lovemore found the pilot insensible, his head and shoulders under water, and the fuselage over his legs. Releasing him from the fuselage, he dragged him out of the water, and in a few minutes the pilot recovered his senses. Lieutenant Lovemore then proceeded towards the river, and seeing a corporal of ours on the other side he directed him to go and get help, he himself returned to the pilot, whom he carried to the river bank. On arriving there he saw an Infantry Officer on the opposite bank, who swam across to join him, and between them they carried the pilot down to the river and swam across, holding him up. The enemy by this time had brought up machine guns, so that they were under fire when swimming across; they, however, got across in safety, and a stretcher party arriving, the pilot was carried back to our lines. The cool courage and disregard of danger displayed by Lieutenant Lovemore is deserving of very high praise. Interestingly, this reiterates the combat theme suggested in the Communique. Thats great and useful info. Hello to the GWF members, I am new to this forum so please bear with me while I learn to navigate your web. Many years ago I acquired Lovemore's medals and I will endeavouring to post a couple of pictures. I have a large amount of research on Lovemore who became a Wing Commander in WW2 and was a pioneer aviator with Alister Miller and Graham Bellin of Union Airways which became I think South African Airways.